Our foundation has been created as an extension of the principles and values that result from the Group. Our main objective is to collaborate in integral projects, focused in the conservation of the environment, to impulse scientific and cultural initiatives, as well as to support young men and women interested in the naval sector, by encouraging students and professionals. Each one of these actions entails an important responsibility, that we assume with great enthusiasm motivated by the energy that moves the company daily. Working as a team, sharing the effort, the goals and be witnesses of fulfilled dreams is a part of this relevant adventure. The project of remodeling and amplification of the collection of the Museum of Natural History of Mexico City represents a valuable opportunity to generate knowledge and enhance the importance of the national biodiversity. 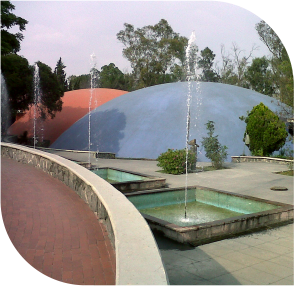 Now, the domes that characterize it since its opening in 1964, are being renovated; most of it is already open to the public. Without hesitation, Blue Marine Mares joined this important initiative that seeks to protect an invaluable legacy, which belongs to everyone. Under the good judgment of taking our efforts to various social, scientific and cultural areas, we strengthen ties with the Museum Board. 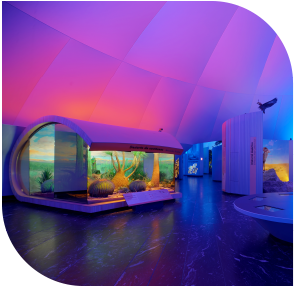 Through this synergy, we encourage the diffusion of exhibits presented inside the museum room Oceans and Seas. This motivates us to continue working for our environment and feel proud of the natural wealth of our country. In Blue Marine Mares Foundation, we are very proud to participated at the #Cancerotón campaign, an important initiative of the National Cancer Institute (INCAN). 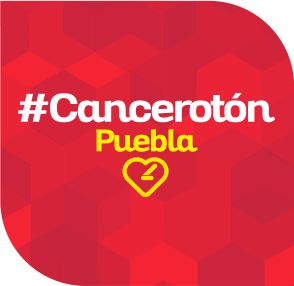 Under the catchword “Cancer is curable if detected on time,” this campaign aimed to raise funds for the implementation of the first clinic for detection of cancer in an early stage situated in Puebla, which will be built at the Benemérita Autonomous University of Puebla (BUAP). With the support and donations of various organizations and public and private companies, it was possible to exceed the 30 million pesos initially contemplated, since the total amount accumulated was 38, 227,571.44 pesos. Our foundations Durandco and Blue Marine Mares, in partnership with Pemex, had the honor to participate through the donation of resources, as well as an advanced equipment to perform mastographs to this relevant cause, which seeks to drastically reverse the 222 deaths in the country per day caused by cancer. Another achievement that shows that the energy that moves us makes us stronger when we work as a team for a common good. 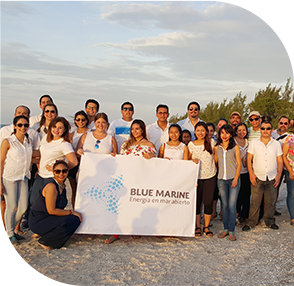 Last 19 August, Blue Marine Mares Foundation carried out an activity in favor of family-labor integration and protection of the environment. This initiative was held in Ciudad del Carmen, Campeche, and brought together 72 members of the company and their respective families. They were received by the staff of Palo de Tinte, who invited them to enjoy a unique and natural experience, by releasing turtles. This event promoted integration and environmental awareness. It was complemented by a qualified biologist who explained to the audience the interesting reproductive cycle of the sea turtle and the proper way to release them into the ocean. In addition, while the children had the opportunity to name the turtle that was given to them to release, all the participants received a personalized recognition and a remembrance detail for their valuable participation. As a Group, we will continue to generate this kind of initiatives that encourage harmony, awareness and actions for a better environment. The energy that moves us promotes the bonds that unite us for the improvement of the environment. Hand by hand with Fundación Casa Wabi we have had the opportunity to focus our resources and energy in the creation of sustainable, artistic, proactive projects devised to impulse a permeant social commitment though cultural oriented programs. This initiative, from architect Tadao-Ando, based in the state of Oaxaca has opened important expression and artistic diversity spaces in different locations around the country. Where art and energy fuse, the efforts of Blue Marine are always present. 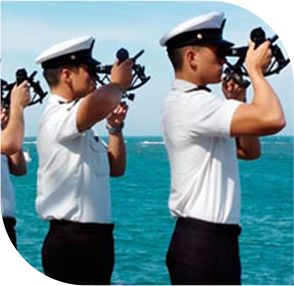 Under the premises of encouraging the talent of young Mexican men and women interested in the naval sector, the Foundation contributes integral scholarships for students, which have been an important support to undertake and conclude their studies in a timely and correct manner. These scholarships have a work-oriented projection, through which the students have the opportunity to integrate themselves to the company’s different units and fully develop their capacities when finalizing their studies. A challenge that has made us very proud, that crystalizes in prominent and committed professionals. IMPORTANT: The following selection process will be announced during the first four months of 2018. With the criteria of taking our efforts to different social scientific and cultural areas, at this time the Foundation has united with the Board of Trustees of the Natural History Museum of Mexico City. Through this project, we are promoting the proliferation of exhibitions presented at the Oceans and Seas hall in said enclosure.